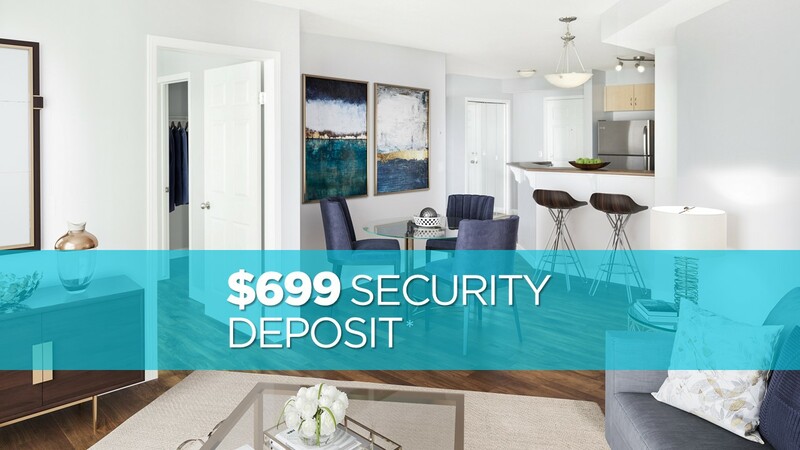 Move in and receive the first month free on your 12 month lease, and pay only $699 security deposit. Plus, receive a $1,000 bonus on one bedrooms apartments! * Only for a limited time. Terms and conditions apply. Downtown Calgary living has never been so great! Suites include washer and dryer, gas BBQ hook-ups on the patio and amazing mountain views. The building has a fitness facility, theatre room & games room, 4th floor rooftop terrace and underground parking. With a LRT stop conveniently located behind the building, residents can take advantage of the downtown free fare zone and within minutes have access to an array of dining, shopping and trendy cafes. Discovery Pointe is professionally managed by QuadReal Residential Properties LP.